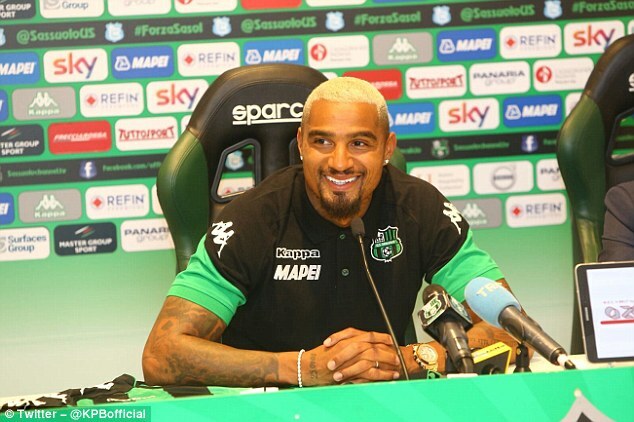 Kevin-Prince Boateng raised the stakes ahead of the new season by suggesting he could be Sassuolo’s very own Cristiano Ronaldo. Both Boateng, who was at Frankfurt last season, and Ronaldo, who was at Real Madrid, made moves to Italy this summer and the former surprisingly increased pressure on himself by drawing comparisons to the five-time Ballon d’Or winner. ‘Am I the Cristiano Ronaldo of Sassuolo? Maybe yes, but I’m 500 goals away,’Boateng told Sky Sport Italia. ‘I’d like to beat him, but first you have to beat Juventus and they have some other very good players. ‘Besides, I can’t do it all alone. I need the help of my team-mates, I can’t fight anyone by himself. 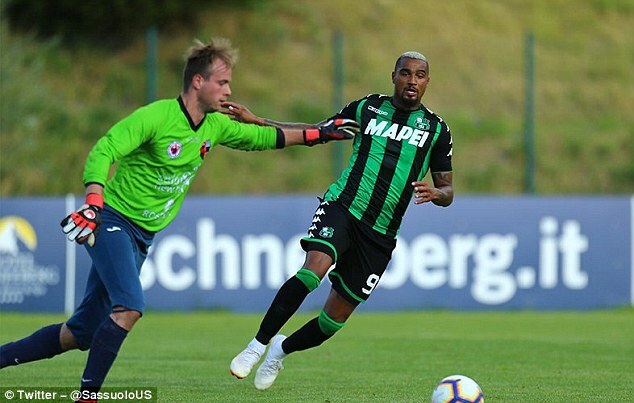 Boateng, formerly of AC Milan, joined Sassuolo on a two-year-deal this summer and has already proved a cut above his team-mates. In just two pre-season matches, Boateng has dazzled, netting five goals over the 180 minutes. 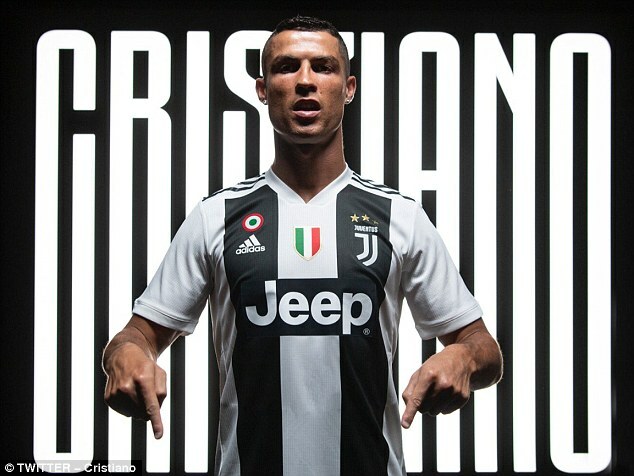 But while Ronaldo will be expected to show big returns both domestically and in Europe for Juve’s £100m investment in him, Boateng will just be tasked with helping improve the club’s 11th-placed finish last season. Fixtures for the 2018-19 Serie A season are released on July 26 and Boateng will certainly be looking out for the two matches with Juventus and his chance to show he can be the minnows very own superstar.